The widow of a wise professor stumbles upon one of his inventions that's able to record and play a person's memory. A drama with echoes of 2010’s Inception, 2017’s Rememory introduces us to Sam Bloom (Peter Dinklage), a man who loses his brother Dash (Matt Ellis) in a brutal car accident. As he emerges from his grief, Sam takes in a lecture from Gordon Dunn (Martin Donovan), a scientist who claims to know a way to extract and view memories. When Dunn dies, Sam collaborates with the inventor’s widow Carolyn (Julia Ormond) to use the special technology to find out what happened. Though I compared Rememory to Inception, the similarities come mainly from their science-fiction-based premises. While Inception offered an extravagant, big-budget action piece, Rememory tends toward something smaller and more introspective. Unlike Inception, though, Rememory can’t muster much to sustain the viewer’s attention across its running time. Despite some clever elements, the movie tends to drag. For a tale based on a mystery, Rememory fails to generate much drama or tension. Sam’s investigation proceeds at a glacial pace, and few of his discoveries manage to pique interest. Instead, these moments tend to feel like “checked boxes” and little more. Sam does just enough to move along the plot, but nothing about the narrative manages to create a sense of intrigue. This leads to a leaden story, one without much to keep our attention. The basic mystery of why Dunn died fails to develop in a compelling way, and the film fails to dig into the depth and meaning that should come with the components attached to all the memories. Rememory tends to use those snapshots as little more than filler and the source of easy sentiment. The movie doesn’t depict them in a way that generates any real emotional impact, so they don’t add to the plot. We do find a good cast, and they bring out a smidgen of heart to their roles. Unfortunately, they can’t overcome the dull script, and Rememory winds up as a slow, forgettable drama. Rememory appears in an aspect ratio of approximately 2.40:1 on this Blu-ray Disc. Across the board, the image seemed satisfactory. For the most part, sharpness worked well. A few shots displayed slight instances of softness, but these remained minor, so the majority of the flick appeared accurate and concise. I saw no moiré effects or jaggies, and the presentation lacked edge haloes or print flaws. Unsurprisingly, teal and orange dominated the palette. As predictable as these choices may be, the Blu-ray reproduced the hues as expected. Blacks seemed dark and deep, and low-light shots offered nice clarity. The transfer worked fine. Heavy on atmospherics, the film’s DTS-HD MA 5.1 soundtrack seemed fine for the material. Matters opened up during memory-related scenes, as those added some zing. This still didn’t threaten to become a great surround mix, but those elements broadened in a moderate way. Audio quality satisfied. Music showed nice range and warmth, while speech appeared natural and distinctive. Effects appeared accurate and vivid, with good clarity and range. This added up to a more than adequate track. A few extras appear, and we find an audio commentary with writer/director Mark Palansky and actor Peter Dinklage. Both sit together for this running, screen-specific look at the project’s development, story/characters, cast and performances, sets and locations, visual design, music, and connected domains. In general, the commentary offers a decent array of observations, but it suffers from too much geniality. Both men – and especially Dinklage – joke around through most of the track. A little of this goes a long way – the wisecracks amuse for a while but they get a bit annoying after a while. We still learn a fair amount about the movie, but the jokey tone becomes a negative. The Memories We Keep runs 31 minutes, 59 seconds and includes info from Palansky, Dinklage, and actors Anton Yelchin, Chad Krowchuk, Julia Ormond, Evelyne Brochu and Henry Ian Cusick. “Keep” examines the project’s development, story and characters, cast and performances, sets and locations, photography and visual design, the depiction of memories, music and editing. With “Keep”, we get a fairly good overview of the production. It lacks a ton of detail but it fares well enough to succeed. The disc opens with ads for Man Down, Aftermath, Arsenal and Shot Caller. No trailer for Rememory appears here. 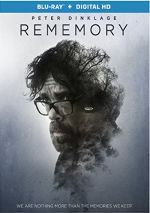 Based on the story’s sci-fi trappings, I thought Rememory would offer a clever twist on the murder mystery genre. Instead, it just brought us a sluggish, flat drama with little merit. 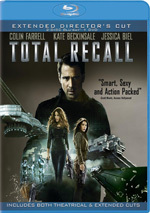 The Blu-ray provides good picture and audio along with some useful supplements. Rememory squanders its potential and disappoints. View Averages for all rated titles.